RFID Journal LIVE! is the largest, most comprehensive event in the RFID industry. It is where the global RFID community - end users, leading vendors, systems integrators, consultants and others - gathers to plan strategies, network, buy and sell, learn and share ideas. 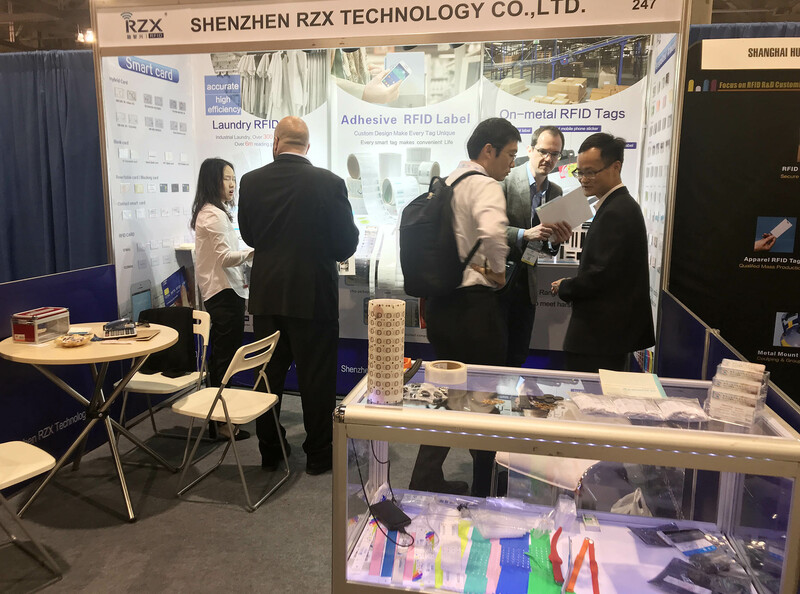 In April 2, 2019, our company RZX Technology Co., Limited make her debut in 17th RFID JOURNAL LIVE.! , and demonstrate our latest rfid tag, laundry tag, on metal tag etc. Most of our clients are very interested in our uhf woven laundry tag, nfc mini tag and all kinds of on metal tags, we have a in-depth communication with our potential clients. We do hope we could bring more excellent products next year to help our clients explore new business, and build a long-standing relationship.